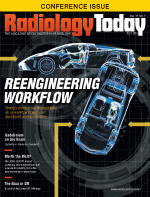 When faced with succession planning, many radiology groups take a spontaneous approach. Perhaps they haven't mapped out a strategy for the various scenarios that could take place when leadership retires or implemented solutions for radiologists who wish to slow down before retirement. The reality is that radiology practices take great pains to create a clear and well-defined path for physicians to enter a group's voting class but offer far fewer options when it comes to an exit strategy for those contemplating slowing down or retiring altogether. Succession planning is more than the process of finding another body to hire into the practice when someone waves the "white flag" of retirement. This truth becomes most evident when a group leader indicates that he or she is ready to start slowing down. Let's face it: Most radiologists are not fighting each other to become the leaders of their group. They are just grateful if one person is willing to step up and deal with the additional responsibility, which is all the more reason to create an environment that is friendly to a thoughtful transition of power. • create structure around the plan that fits the group's culture and work style. The ability to accommodate members of the practice who have expressed an interest to cut back by expanding the options available for their exit strategy is just as important as developing tomorrow's leadership. Important to the process is the ability to analyze generational differences, as well as create processes and policies that groups can develop and implement to maintain harmony and stability, even through a transition of leadership. Given the health care industry's instability, there is a catch-22 inherent in handing over the leadership reins. Radiologists who wish to be leaders must keep in mind that their goals for the long term may contrast with what is already established in a group. Older leaders, on the other hand, must have the desire to train younger radiologists and slowly let go of the reins. Neither scenario will be easy or peaceful unless there is some planning involved. The generational differences are often vast, as outlined below. • more experienced with newer technology. • little desire for big changes that impact practice/business. Due to these sometimes polar generational differences, groups should take a formal, structured, and collaborative approach to succession planning. Taking the time to thoughtfully develop and implement policies and procedures now will ensure a measure of stability during future transitions. • When is the earliest you are considering retiring or moving to a less than full-time status? • When is the latest you are considering retiring or moving to a less than full-time status? • Are you considering moving to less than full-time status prior to retiring altogether? • If you answered, "Yes" to the previous question, please estimate the percentage of time you see yourself working. • Based on my workload for the last 12 months, I would really like to have the following in vacation time: more vacation, less vacation, or the same amount of vacation. The answers to the above survey can provide a general timeline for when practices should begin recruiting and undergoing transition efforts. Although individual plans and preferences might change, the feedback will likely be more valid than not, while also arming a practice with enough information to plan for adequate staffing in advance—and with greater flexibility. Let's apply the use of a survey to the example of a radiology practice that experiences a sharp decline in exam volumes and shareholder earnings because its hospital system partner closed the main campus. If the survey results state the group's average age is older than 50, such findings would be very helpful from a staffing standpoint if two members indicate they are contemplating retirement in the near term. If seven out of eight respondents answered, "Yes" to the third question, as another example, this could provide the impetus to develop a "part-time shareholder" policy. Using a list of questions that touch on the most vital issues (eg, pay, call, vacation, and voting rights), it is important to guide the radiology group through the process over the course of several monthly meetings. At the end of the process, the group can then agree on a policy that is simple, straightforward, and fair. Many similar approaches have yielded reduction in labor, increased physician productivity, nominal improvements in annual exam volume, and an increase in average shareholder earnings for groups. Many times, part-time shareholders or past group presidents can continue to mentor the group's (much younger) new president, because the individual remained accessible and engaged but not nearly as stressed and busy as he or she had been the year before. As illustrated by this example, groups should decide on new policies that adapt to the schedules and needs of outgoing members, such as the transition to a part-time schedule. There are often one or two "elder statesmen" in a group that have developed great relationships within the hospital. It is in the group's best interests to work with those more senior partners, allowing new leaders the opportunity to work closely with them and to establish their own rapport with hospital administration. Groups should ask themselves which radiologists are the right fit for the group's current situation as well as which ones will be in the future. If current leadership can identify the type of leader they believe the group needs based on their experience and knowledge, as well as the personality type, they can then begin to narrow down the best choices. Speaking to potential candidates and assessing their level of interest right away is key to identifying new leaders. Planting the seeds with potential leadership is important as a way to determine whether the new individual under consideration is amenable to the new position and possesses the right temperament. • Mentor radiologists to serve as leaders. • Test their leadership capabilities in various roles (eg, scheduler, treasurer, secretary). • Invest in leadership classes. • Involve them over time, and allow them to shadow current leaders. Training should definitely be hands-on, and, as opportunities arise, groups can begin to invite up-and-coming leaders to be a member of the board and attend hospital administration meetings. Many radiology organizations are recognizing the need to develop leaders in the challenging environment of health care management, in venues such as the ACR's Radiology Leadership Institute, which works to prepare radiologists with critical leadership skills for advancing in practice leadership and strengthening the radiology profession. In closing, maintaining good relationships and treating group members with respect, especially in a voting process, is a cornerstone in any approach to succession planning. Retaining great leaders also means showing them how well aging leaders and retiring members are treated upon leaving the group. As in any business, strategies that map out consistent processes and policies will make the process easier for everyone and ensure ongoing group success in its succession efforts. — Chuck Falci, CPA, is a senior practice manager with Zotec Partners.